Are Your Employees Headed Out the Door? Employee retention is an issue for every employer, at one time or another. For some, turnover is a constant problem. And it could be on the rise. After a few years of economic troubles, cutbacks and demands for more productivity, today’s workers are burned out. Fewer than one in three employees are engaged in their work. Only 45% of workers say they are “satisfied” with their jobs. 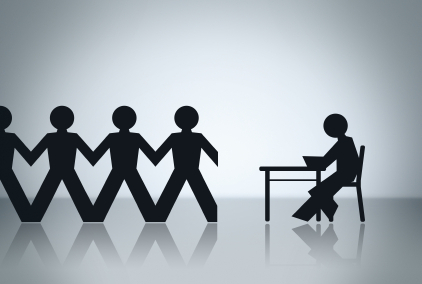 Approximately 32% of employees hope to find a new job within the next year. And just because employees are “satisfied,” it doesn’t necessarily mean they are happy. Besides costing you money, turnover affects morale and productivity. And even if your employees are staying put, if they’re not happy, they won’t be as productive. Engaged employees are pleasant to be around. They treat customers and co-workers well, and excel in job performance. Engaged employees are not content with simply doing what’s expected—they’d rather go the extra mile so that the organization’s goals are met. Involve employees in decision-making, by keeping lines of communication open. Inspire trust by being truthful and transparent, taking blame for their mistakes and doing what they say they will do. Give employees the chance to learn new tasks, along with a path for advancement. Take the time to recognize employees’ efforts. While no company will ever have 100% engaged and happy employees, most could use some improvement in this area. While these ideas won’t work miracles overnight, they will create a foundation for progress.